February and March is the time for making maple syrup in Michigan. This short season is entirely dependent upon the weather. Sunny days and cold nights are the weather features maple syrup producers look for. Under those conditions the “sap is running”. 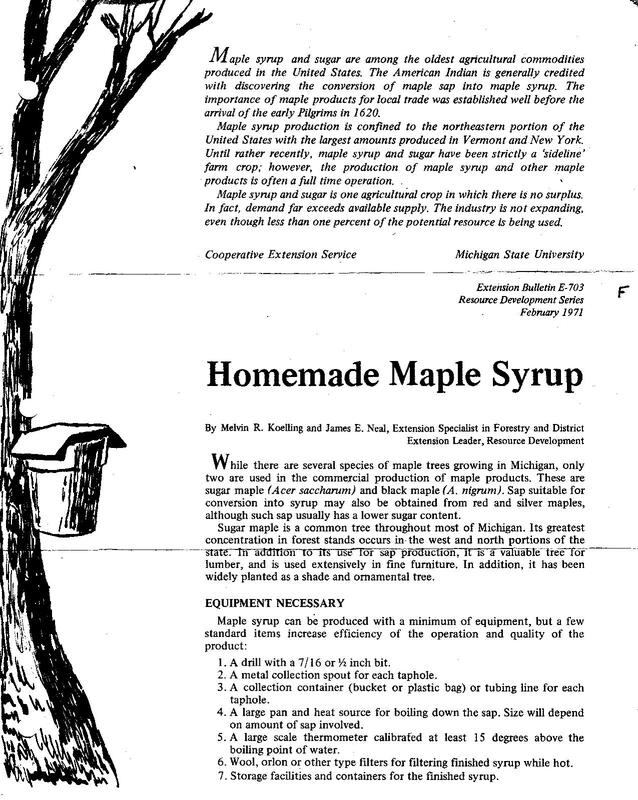 If you are interested in making homemade maple syrup here is a pamphlet that was developed by the good folks at Michigan State University exactly 40 years ago. 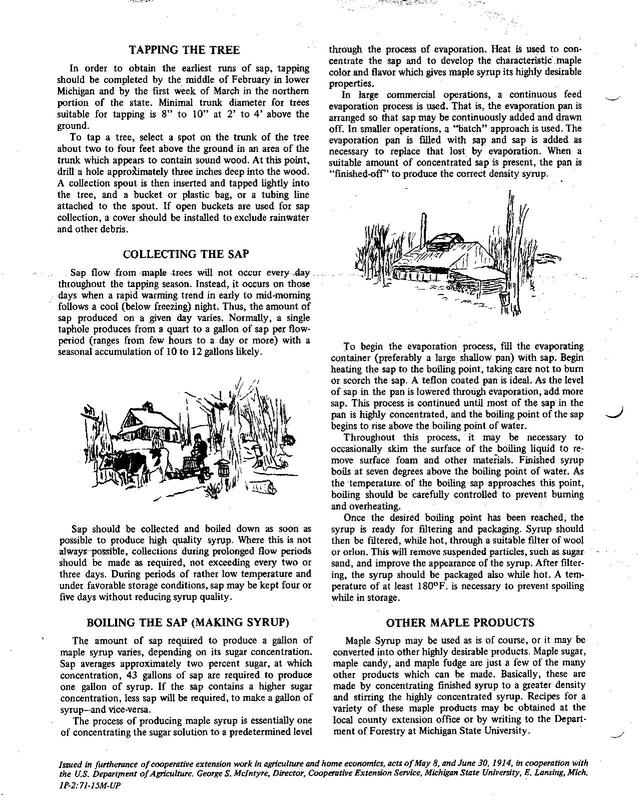 Even though this is an older publication the basic information contained in it is not outdated.